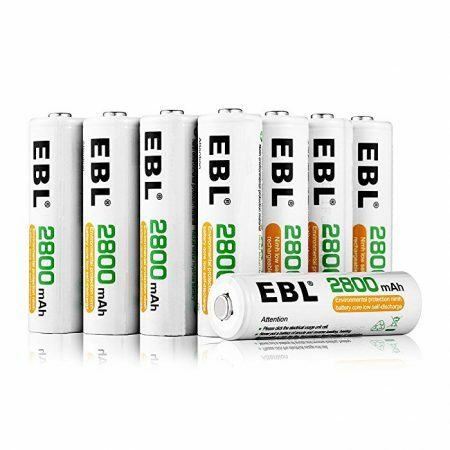 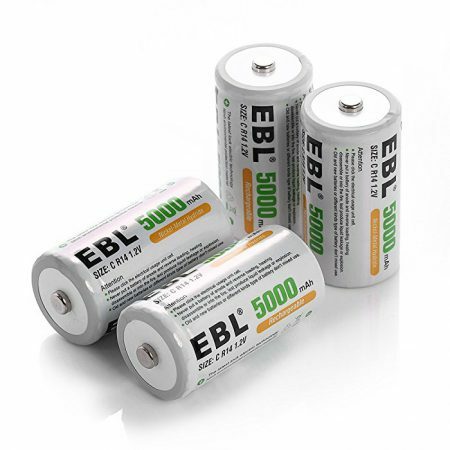 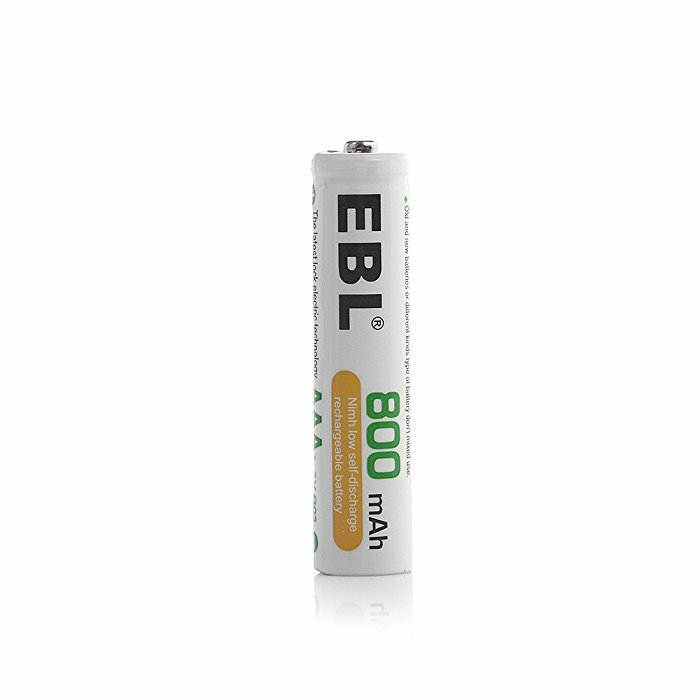 16-pack EBL rechargeable AAA batteries, 1.2V, 800mAh, efficient NiMH rechargeable batteries for office and home. 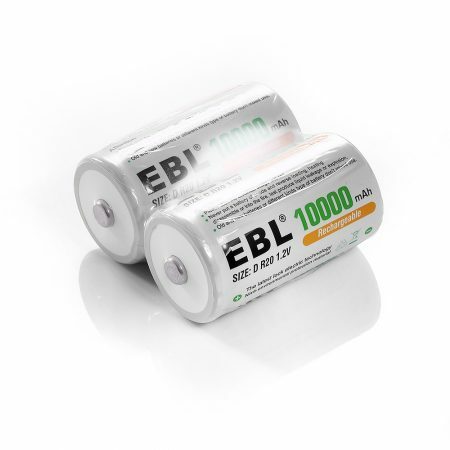 Long battery life: these AAA rechargeable batteries can be recharged up to 1500 times. 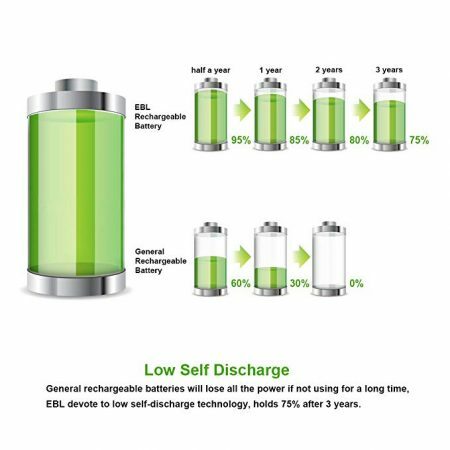 Low self discharge: these AAA batteries feature low self discharge. 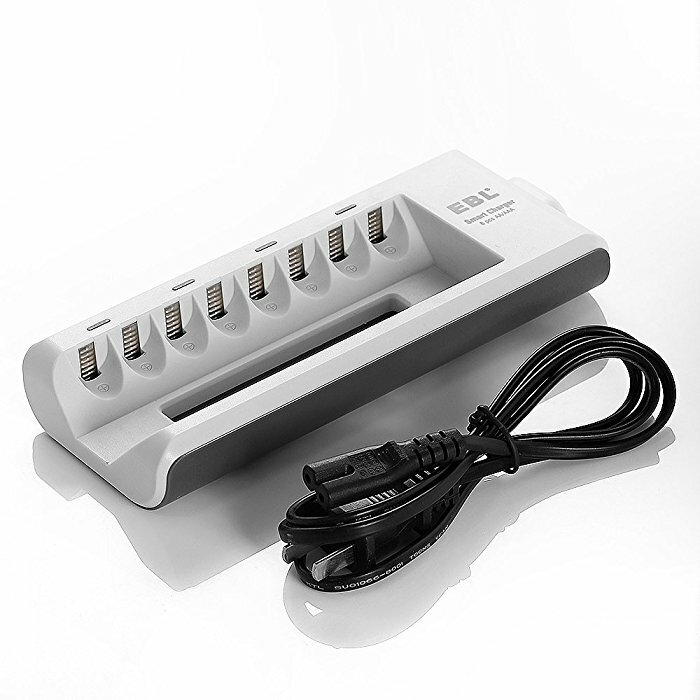 They can keep about 75% capacity even though you don’t use them for up to 3 years. 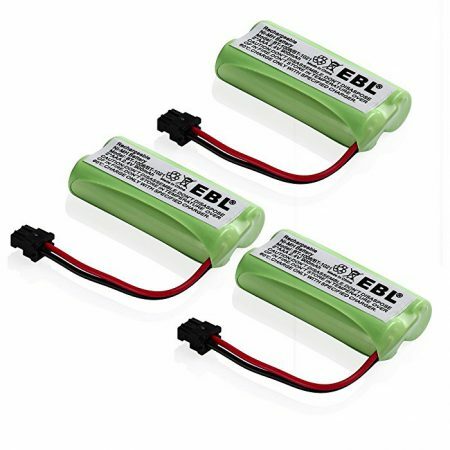 These AAA batteries can be used immediately when they arrive you. 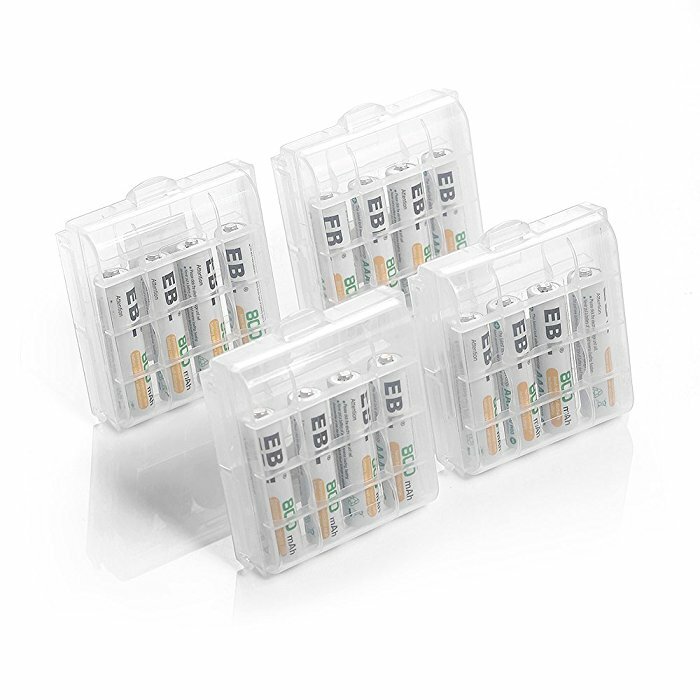 Package contains 4 storage cases for battery maintenance and care. 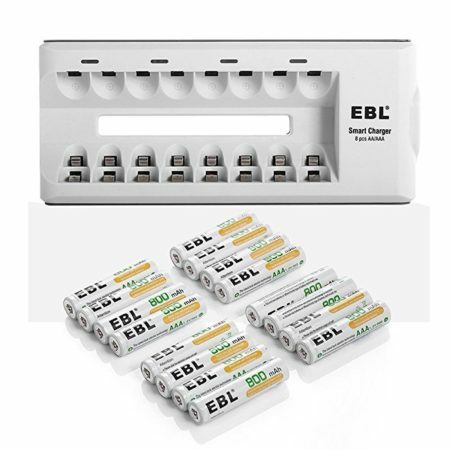 This charger has up to 8 charging bays which allow you to charge 2/4/6/8 AA or AAA batteries together at a time. 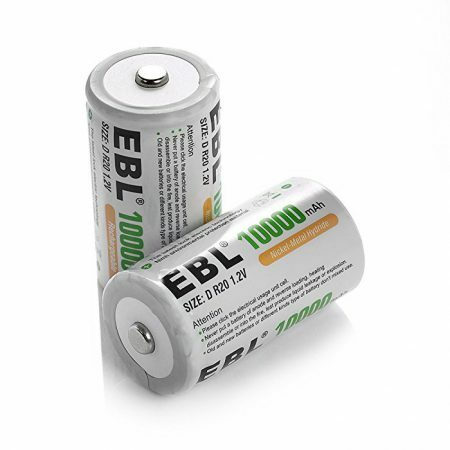 Please note that batteries should be charged in pairs(charging uneven number of batteries is improper). 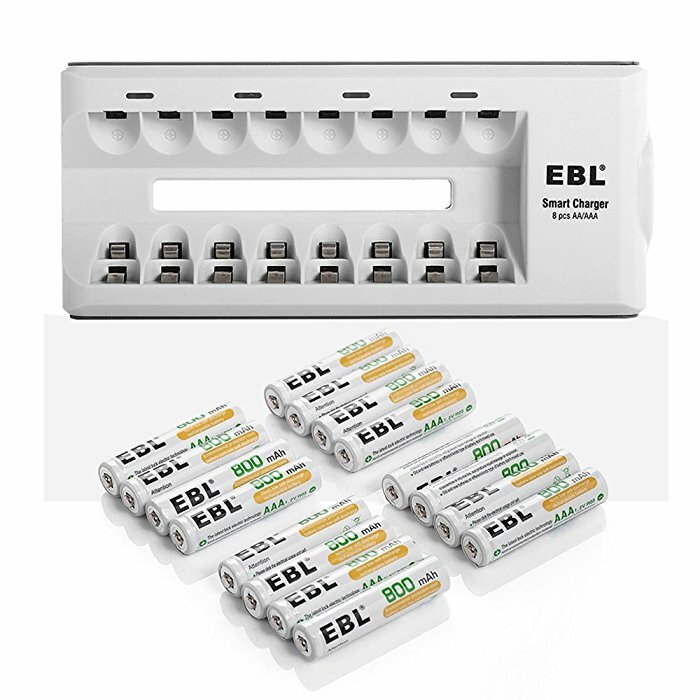 The charger has 4 LEDs as battery indicators(do not charge 1 AA and 1 AAA batteries together at 2 slots controlled by 1 LED inidcator). 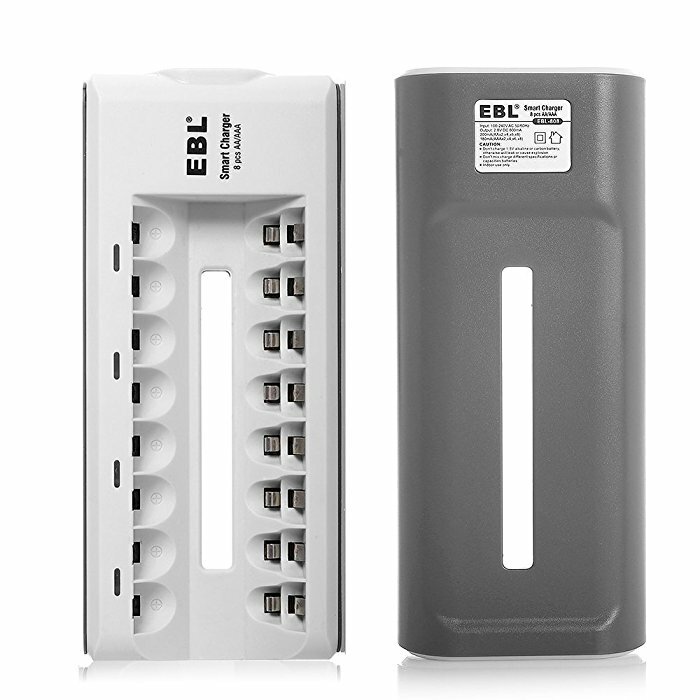 The 8 bay charger has good protection against overload, over heating, reverse polarity and short-circuit. 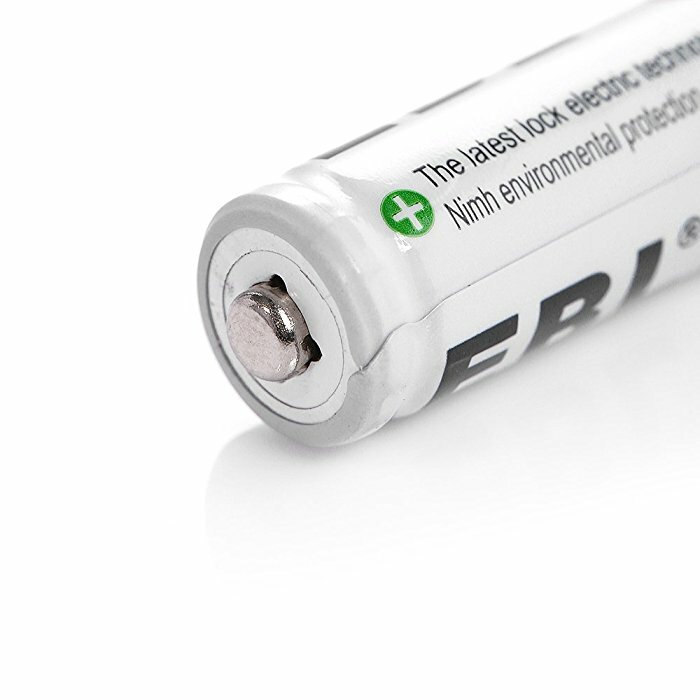 The charger has more protection by using negative delta V (- ∆V) cut-off function. 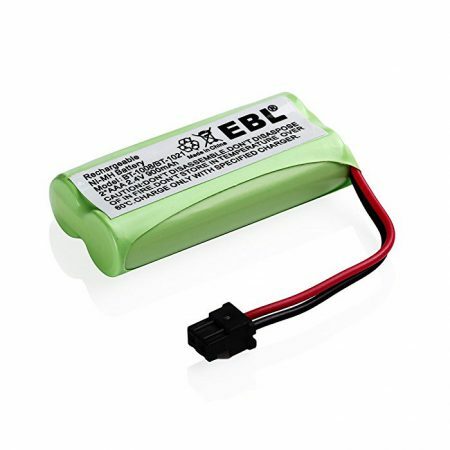 It will automatically stop charging when batteries are fully charged.